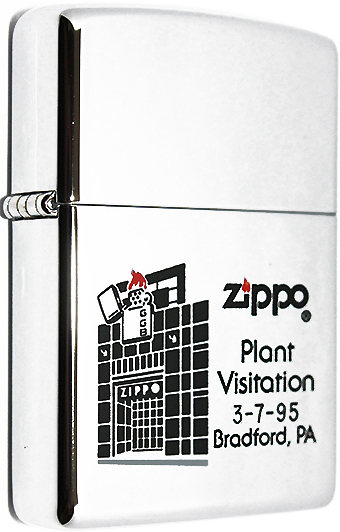 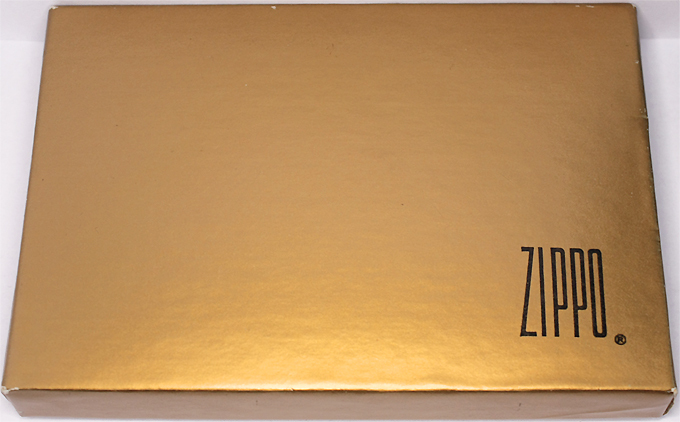 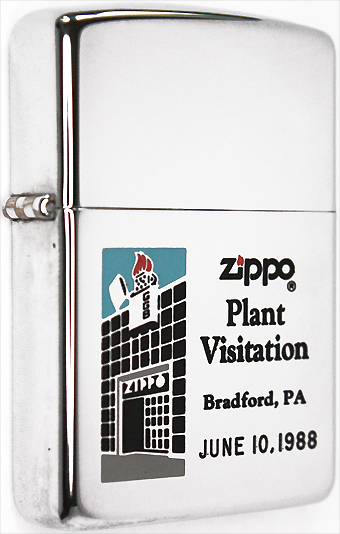 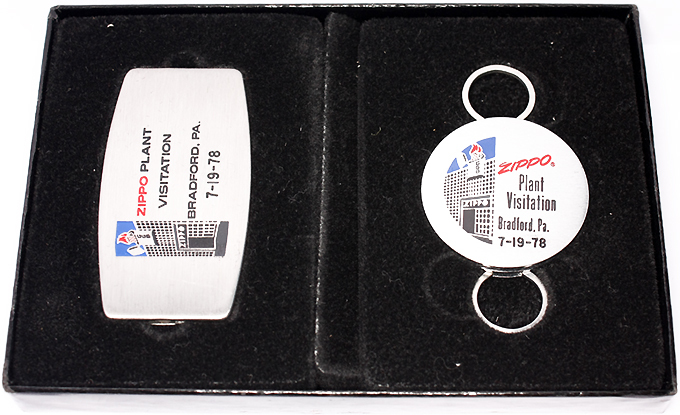 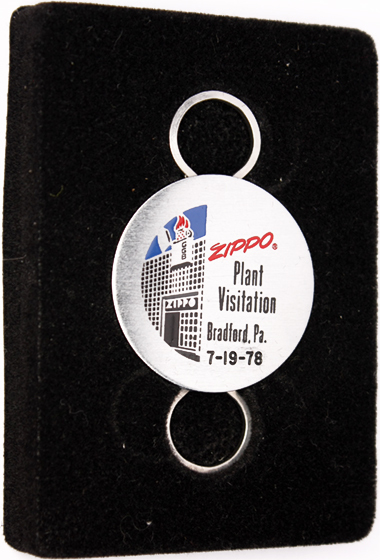 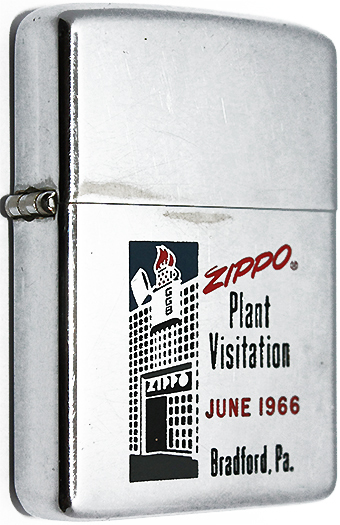 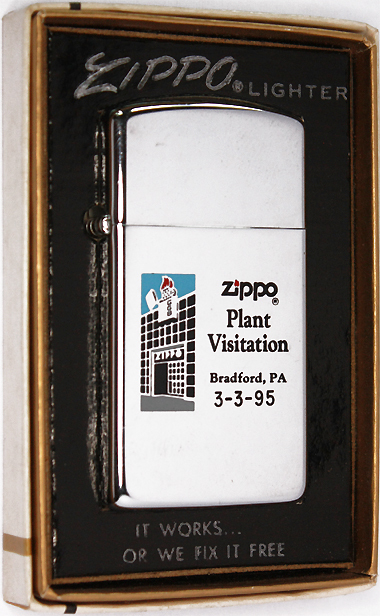 The first plant visitation took place in September 1995 as an open house was held for the grand opening of the new Zippo Office Building on 33 Barbour Street. 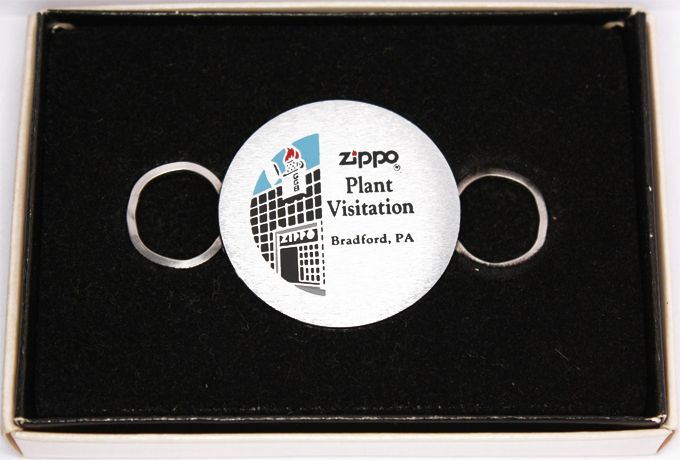 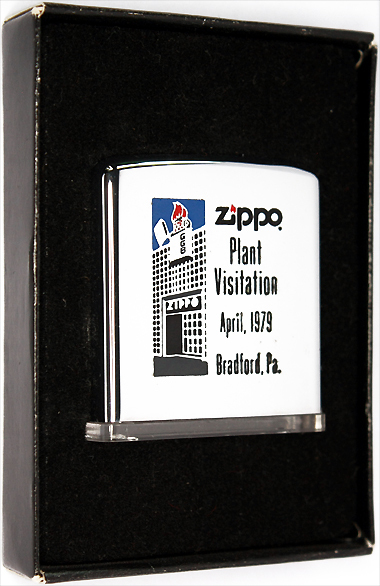 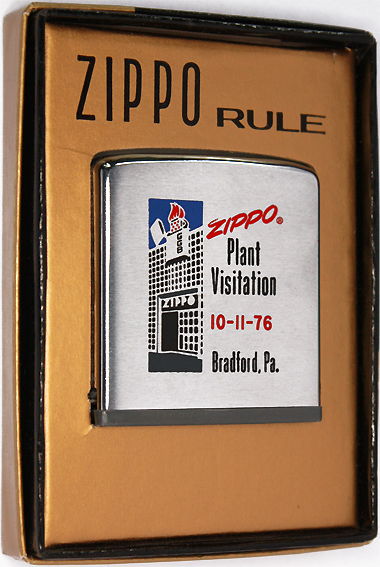 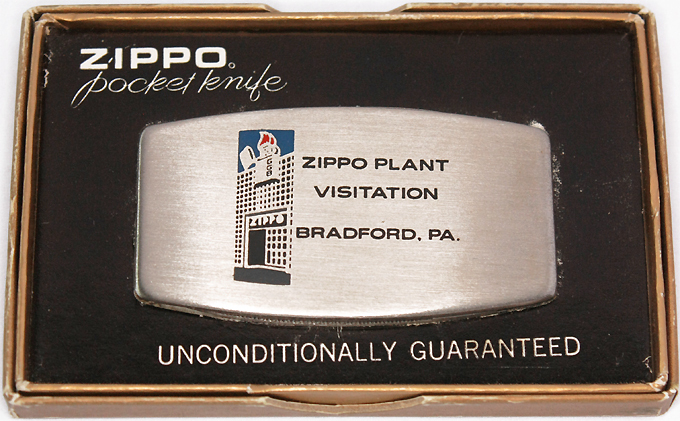 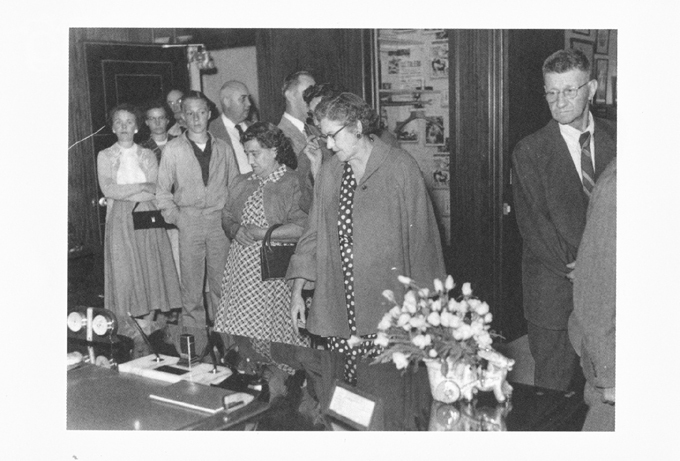 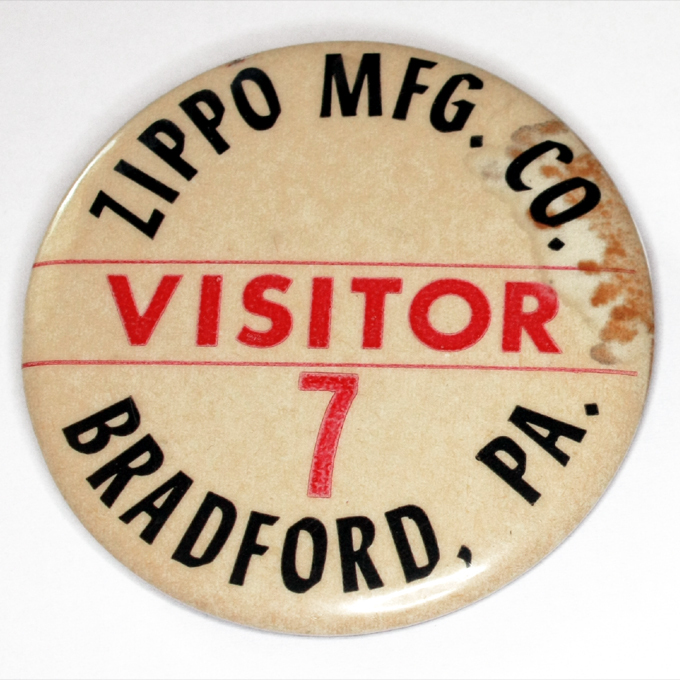 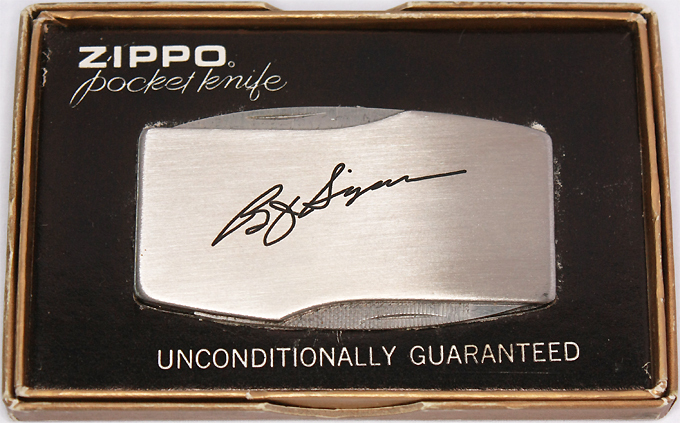 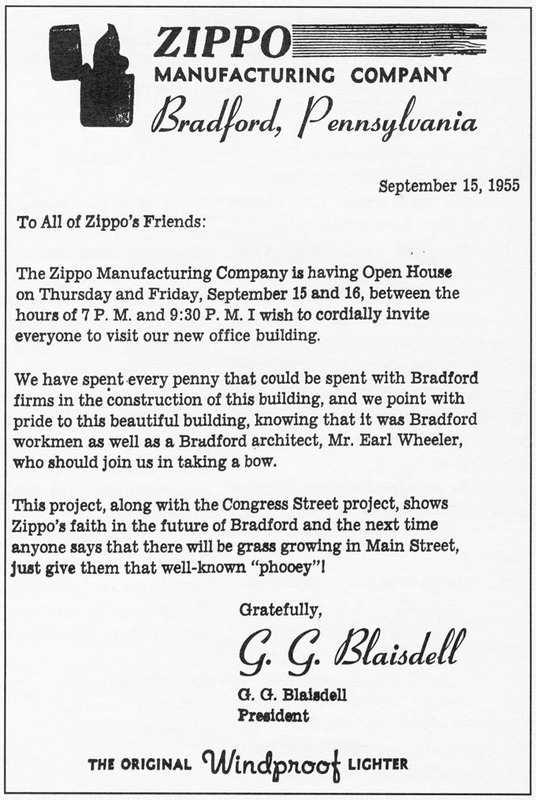 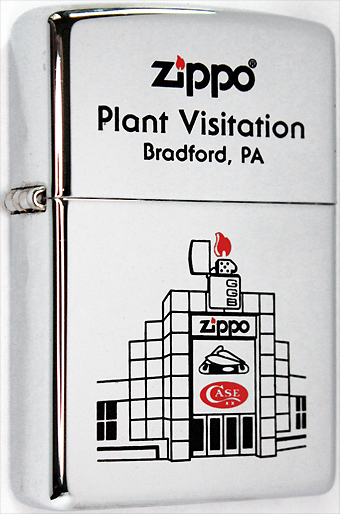 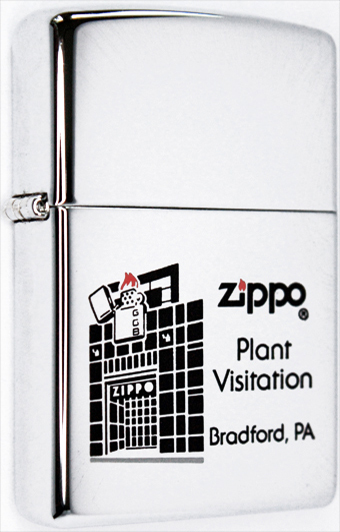 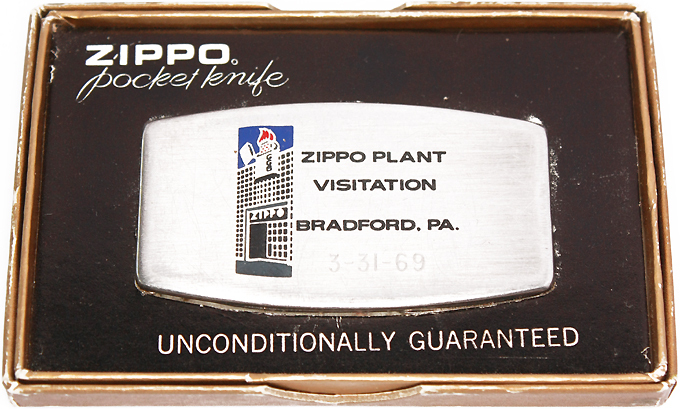 The doors of the new Zippo building were open to Zippo's friends & family on September 15 & 16, 1955 & the community of Bradford was invited to tour the following day. 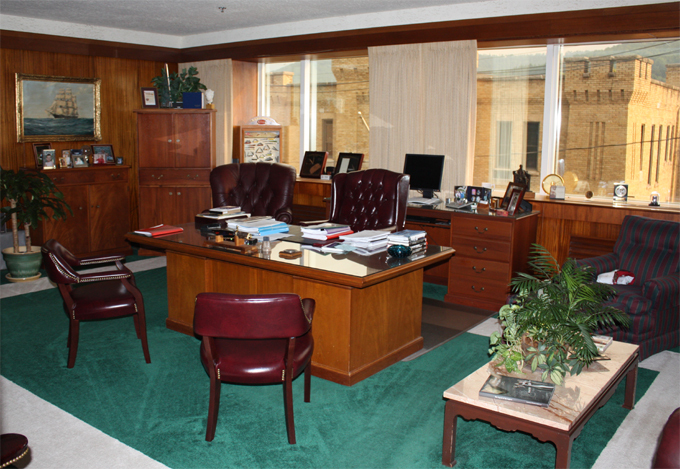 Guests admire George G. Blaisdell's office in the top right corner of the Barbour Street building. 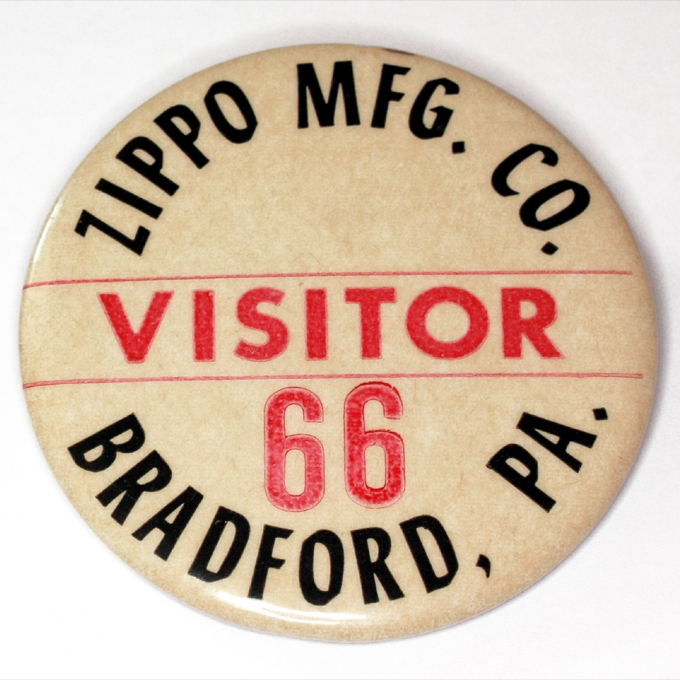 Gregory W. Booth, Zippo president & chief executive officer, occupies the office today, which looks very much like it did when opened in 1955.
vintage visitor's badges from a plant visitation in the 1960's. 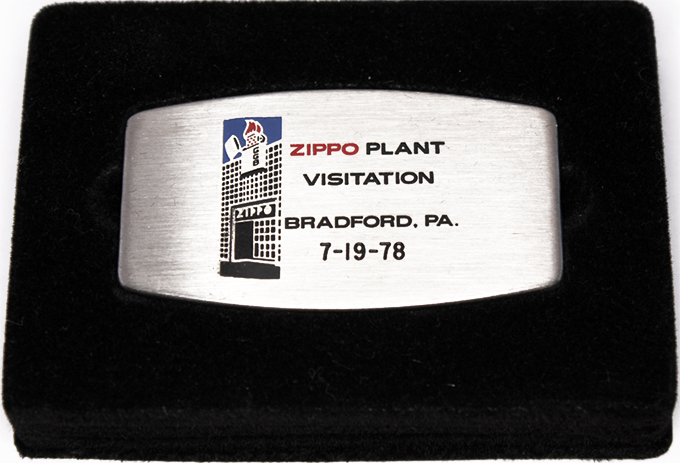 ZIPPO PLANT VISITATION BRADFORD, PA.
ZIPPO PLANT VISITATION 10-11-76 Bradford, Pa.
ZIPPO Plant Visitation April, 1979 Bradford, Pa.